This truck was part of the Toyota recall for frame rot and has a brand new frame with stickers still on it and everything that went along with it for parts, as close to a brand new 2008 as you can get in 2019 ( Has a 15 year warranty on the frame from time of install ), has 4 brand new Hancock All Terrian tires, fresh oil change and is ready to drive home today with you. Call or text to set up a test drive. We have over 130 quality pre-owned vehicles at affordable prices. We offer guaranteed credit approvals for all. First time buyers welcomed. 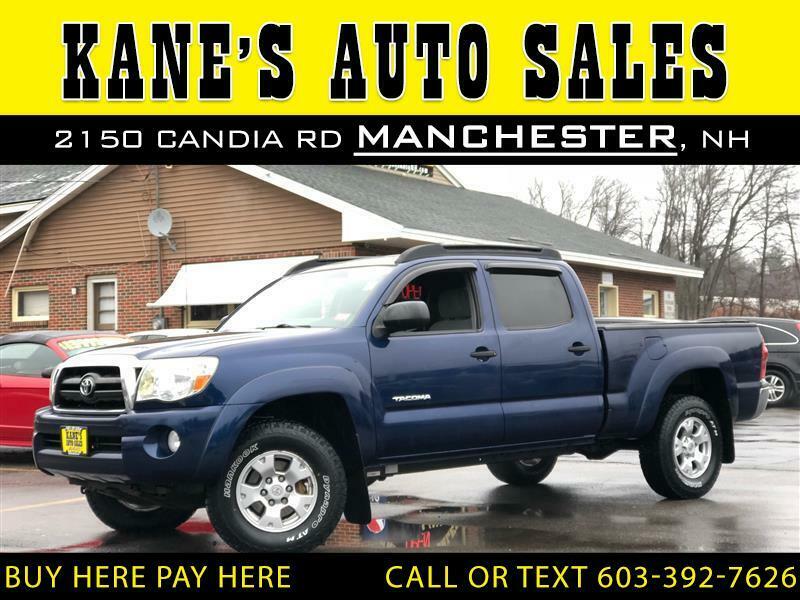 All our vehicles come with a NH state inspection, 20 day plate and a FREE 30 day 1000 mile warranty, we also offer a wide selection of different warranty options at affordable prices . ( THIS EXCLUDES WHOLESALE/ AS IS TRADE IN VEHICLES ) Family ran and operated for almost a decade now ...Don't DREAM IT ... DRIVE IT... PROMISES DELIVERED !! All advertised prices exclude government fees and taxes, any finance charges, any dealer document preparation charge and tag and title fee's. While we try to make sure that all prices posted here are accurate at all times, we cannot be responsible for typographical and other errors that may appear on the site. We make every effort to provide you the most accurate, up-to-the-minute information; however, it is your responsibility to verify with the Dealer that all details listed are accurate. The dealership is not responsible for typographical, pricing, product information, advertising or shipping errors. Advertised prices and available quantities are subject to change without notice. All rates and offers are dependent on bank approval, which varies based on applicant's credit as well as the vehicle.